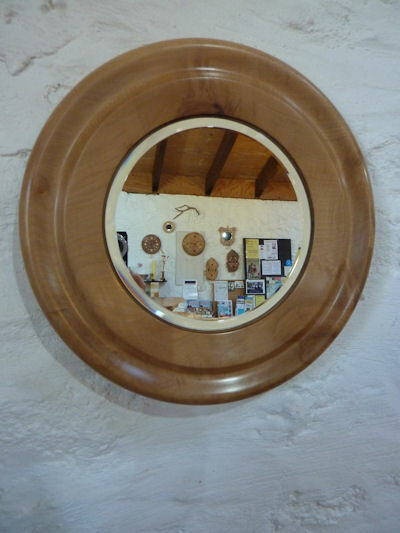 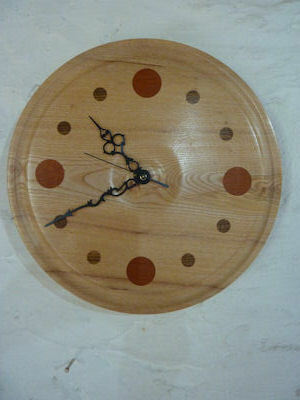 With a skeleton movement, oil finish 26cm high x 20cm wide face 9.5cm diameter £49.90. 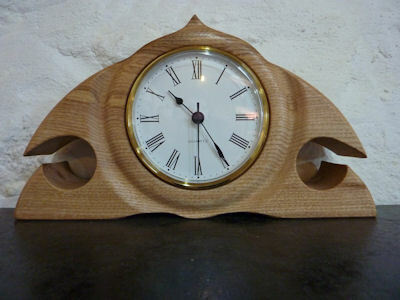 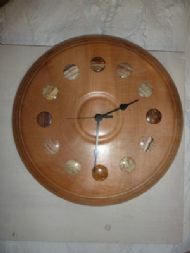 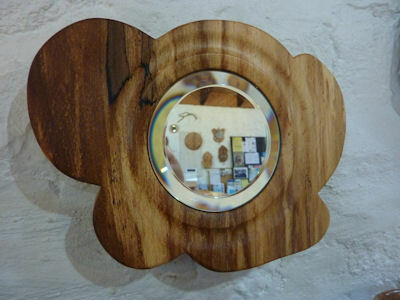 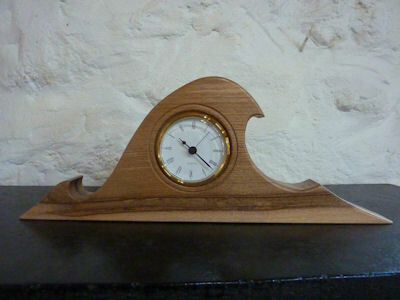 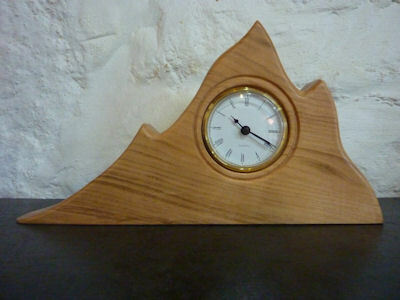 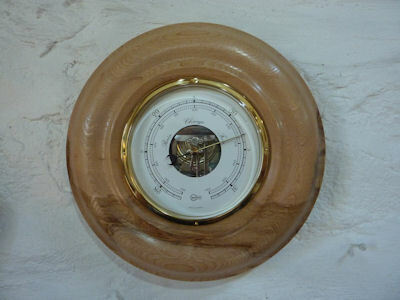 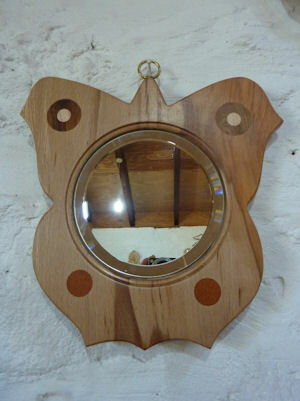 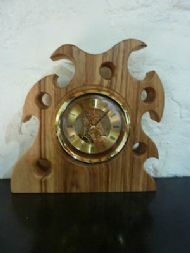 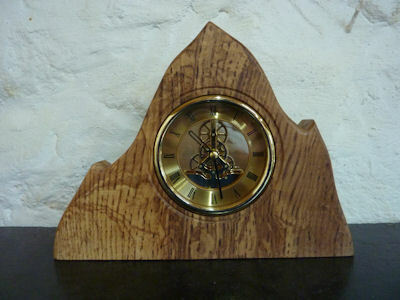 Sycamore clock with onyx inlay, oil finish, 34cm diam, £46. With mahogany and laburnum inserts, oil finish, 30cm diam, £35. 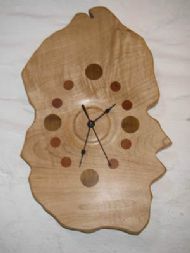 Oil finish, 37cm x 15cm, face 7cm diam, £35. 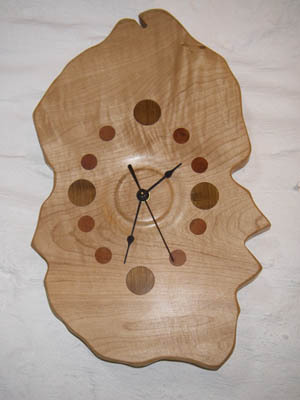 Oil finish, 31cm x 17cm, face 7cm diam, £36.